Originally designed to accommodate Sir Frank Brangwyn’s vast murals, the space has barn-like dimensions – from the front door onto the street, the visitor enters an impressive three-storey high room, filled with natural light from east and north-facing windows. To one side there is a balcony area reached by stairs from the main room. 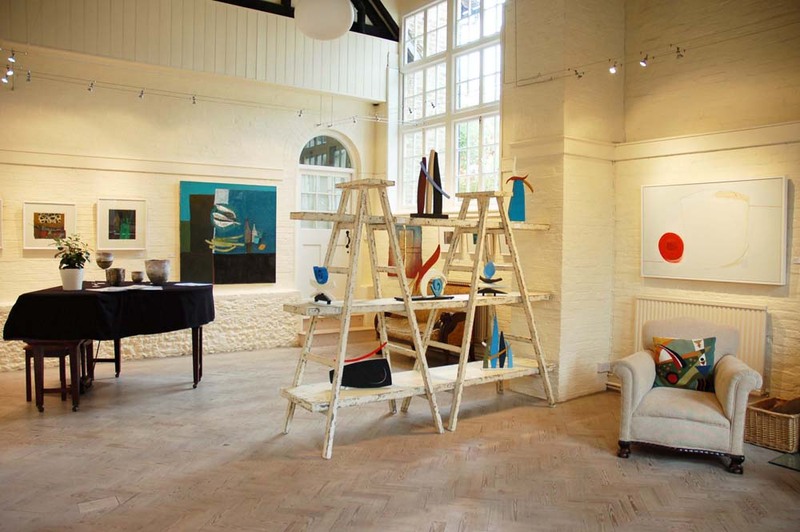 Throughout the gallery there is a versatile hanging system and specifically designed halogen display lighting. The Studios is available to hire throughout the year as an exhibiting space, or for workshops, photographic shoots, lectures, business meetings or other events. The gallery can be rented daily, for a weekend or by the week. The costs include lighting and heating, but not staffing which must be provided by the individual or organisation renting. The Studios is covered by public liability insurance. Please contact Shirley Crowther at the Studios for current rates.